If you watched my Facebook Live last week, you met my adorable new assistant, Lucy! We've been friends a long time and we love spending time together! She will be making weekly appearances on my facebook lives! Here's the card we made last week. It is simple, but so pretty! The card goes together very quickly - I made several of these cards - for some of them I just stamped using clear blocks. But then I decided to use my Stamparatus and placed both the floral wreath image and Joy on the same plate and stamped both images at the same time. Either way is great - but it's always nice with a larger stamp to use the Stamparatus. 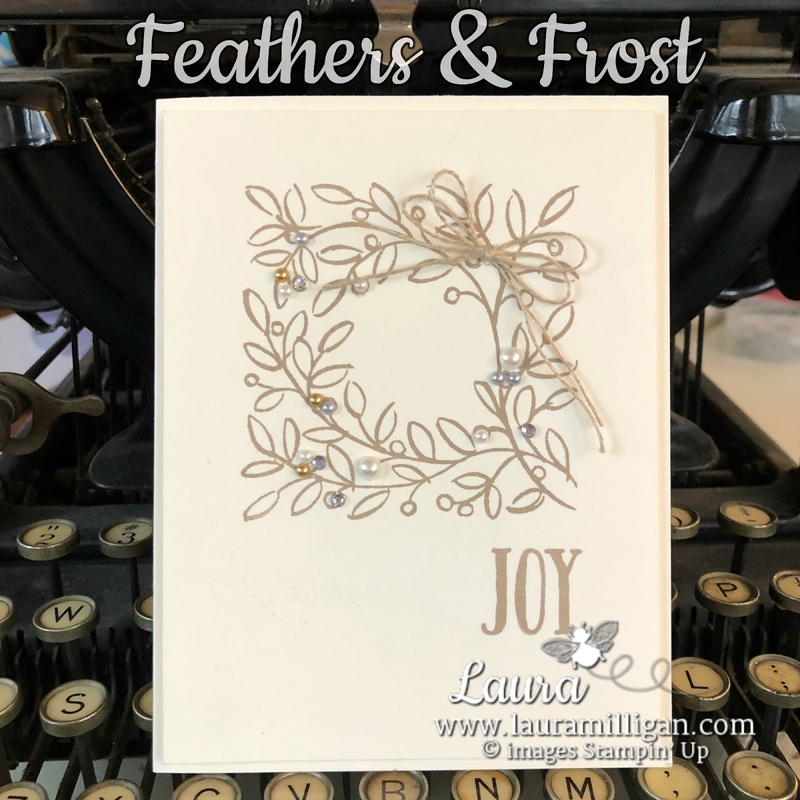 Quick and simple card - great for this time of year when we are all so busy! Here are the products used for this card. If you'd like to create this card, please click on any image and you can shop in my online store! If you'd prefer me to place an order for you, just send me an email! I'll be happy to assist you!